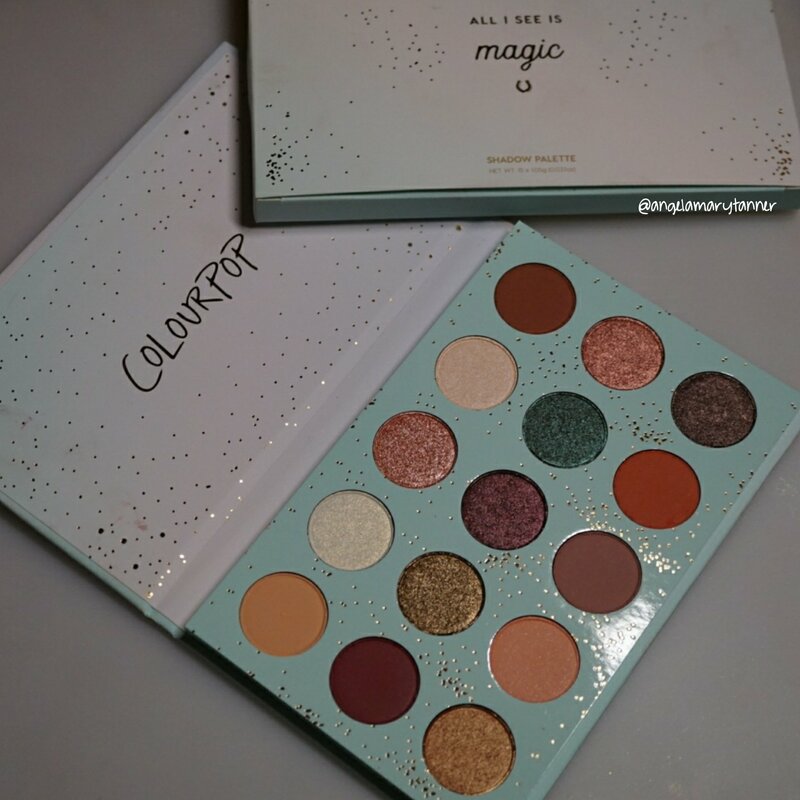 This palette is part of ColourPop’s LE holiday collection. It was originally priced at $20 and is currently on sale for $14. It’s their standard packaging design with smaller sized, removable magnetic pans. A few of these shades (I think four) are sold individually as well. 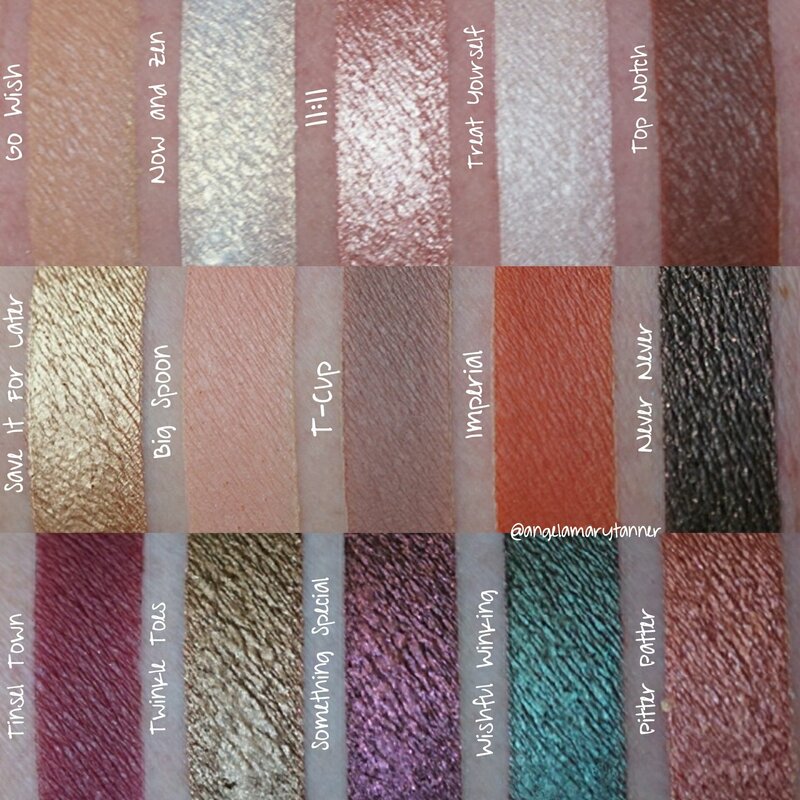 The palette has 15 eyeshadows in a variety of finishes. Just an fyi- Imperial and Tinsel Town aren’t approved for use on the eyes. 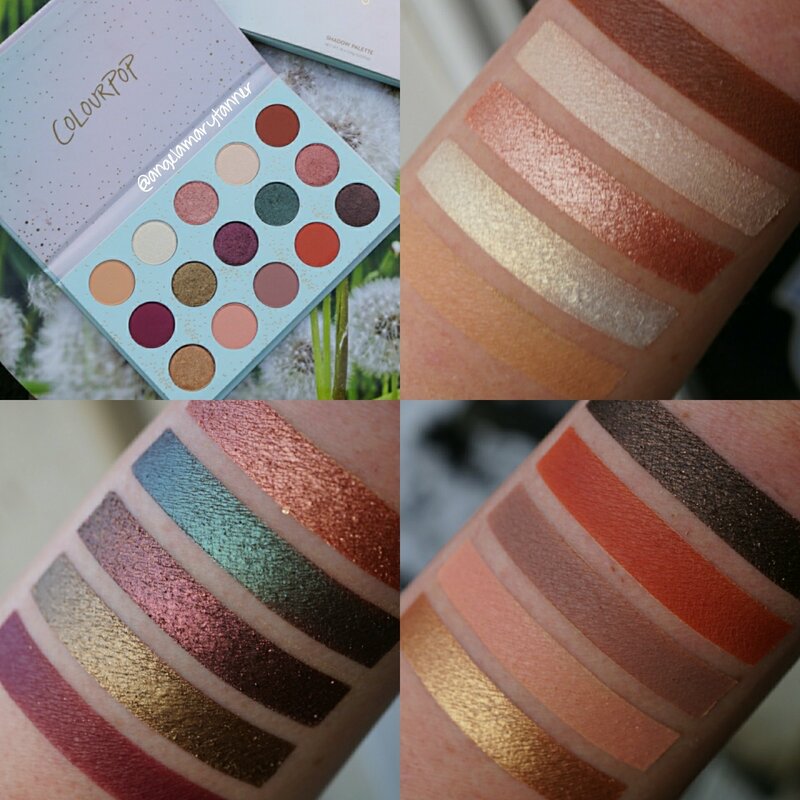 The last CP palette that I reviewed, Golden State of Mind, wasn’t my favorite but I’m happy to say that I’ve been loving this one! 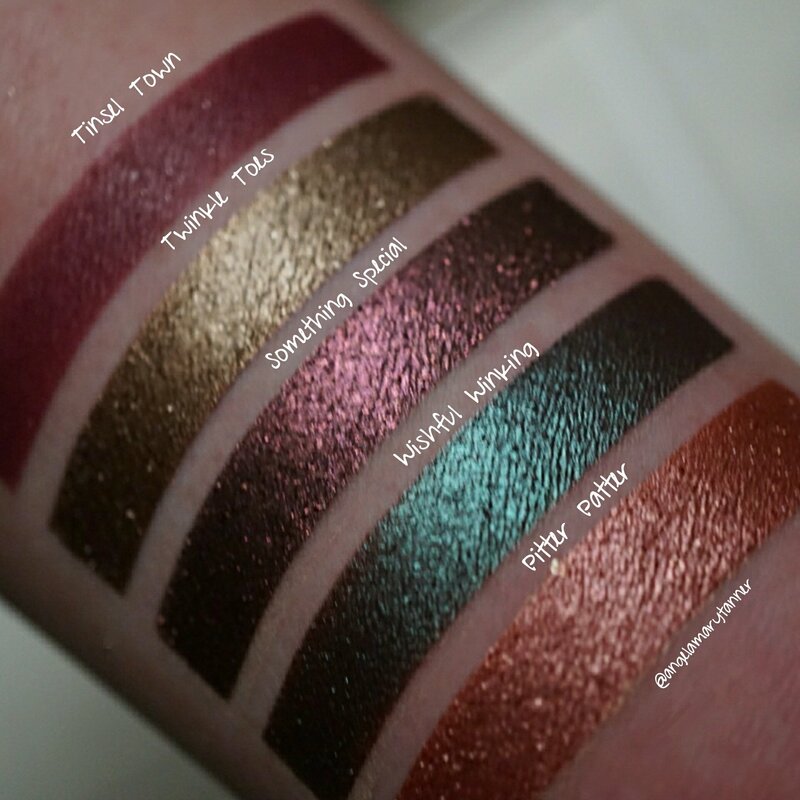 Onto zee swatches! 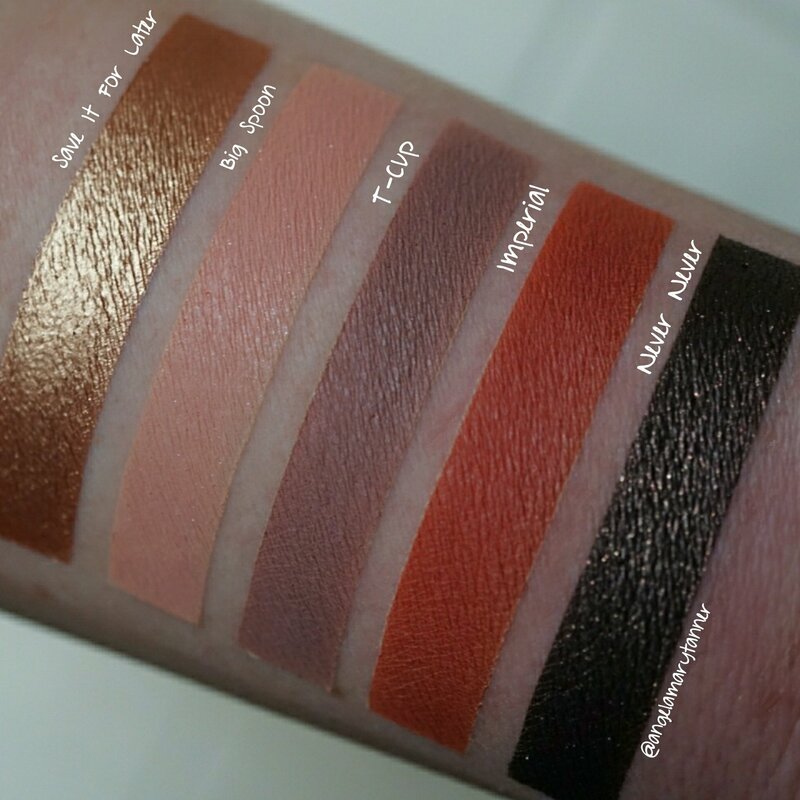 Go Wish is a matte peach. Now and Zen is a creamy white with yellow gold reflects. It’s also sold individually. 11:11 is a peachy rose gold with silver glitter and a foiled finish. Treat Yourself is an ivory colored satin. Top Notch is a medium red brown with a matte finish. It’s sold individually as well. Tinsel Town is a mid-toned matte berry. Twinkle Toes is a deep antique bronze with a foiled finish. Something Special is my favorite shade in the palette. It’s a metallic berry with lots of sparkle and a bronze shift. It reminds me of their Stereo SSS. Wishful Thinking has a deep chocolate brown base with a teal flip. 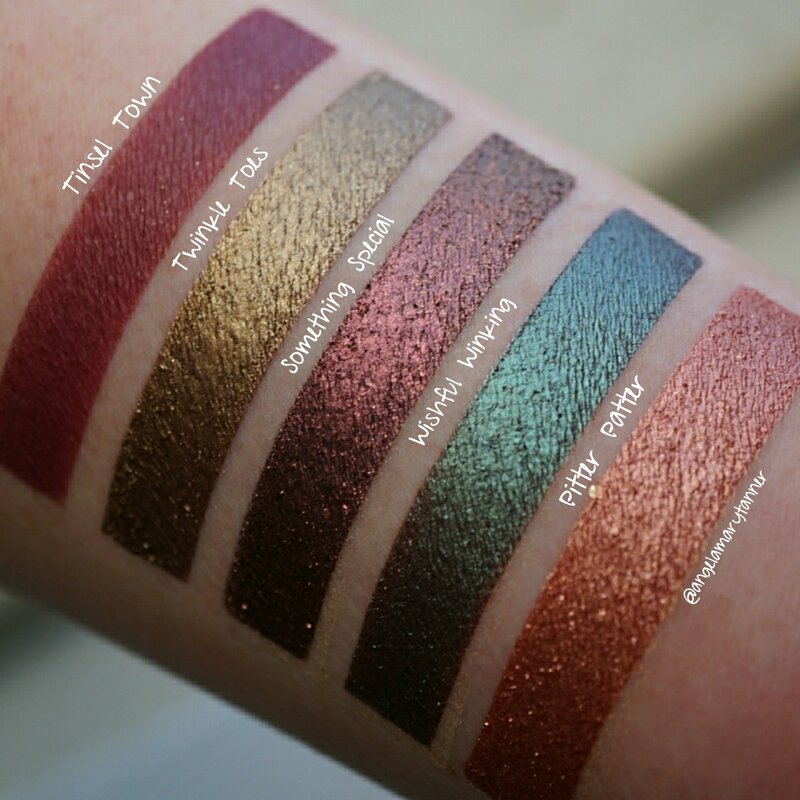 Pitter Patter is a pinky copper with gold glitter. It reminds me a bit of their Sequin SSS. Save It For Later is an amber gold with a foiled finish. It’s also sold individually. Big Spoon is a peachy coral with a satin finish. Imperial is a mid-toned reddish orange matte. It’s also sold individually. Never Never is a blackened bronze with gold glitter. There’s not too much to note about the formulas. 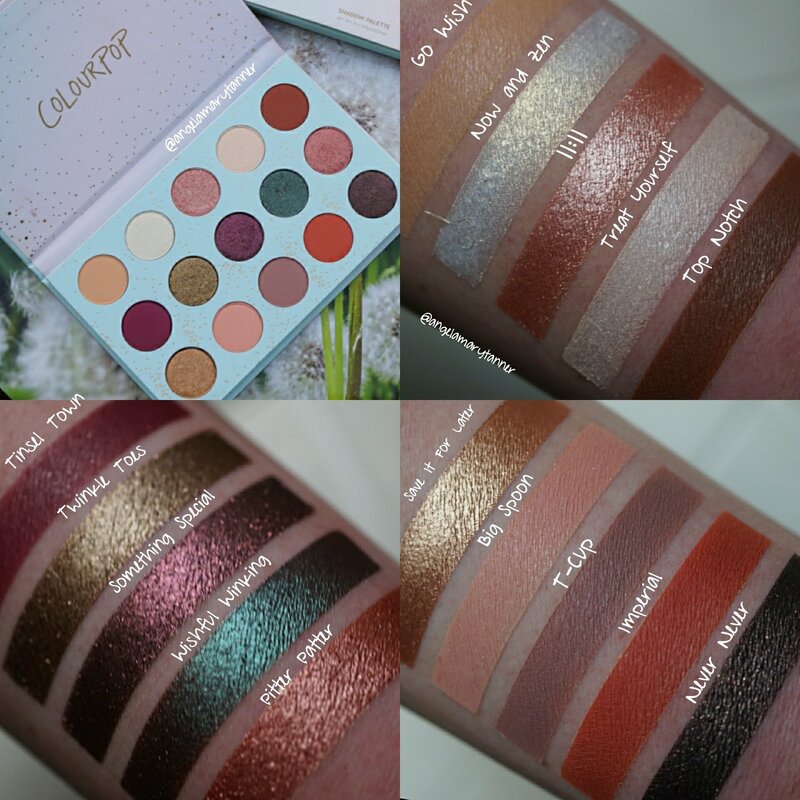 They’re what you would expect from Colourpop. 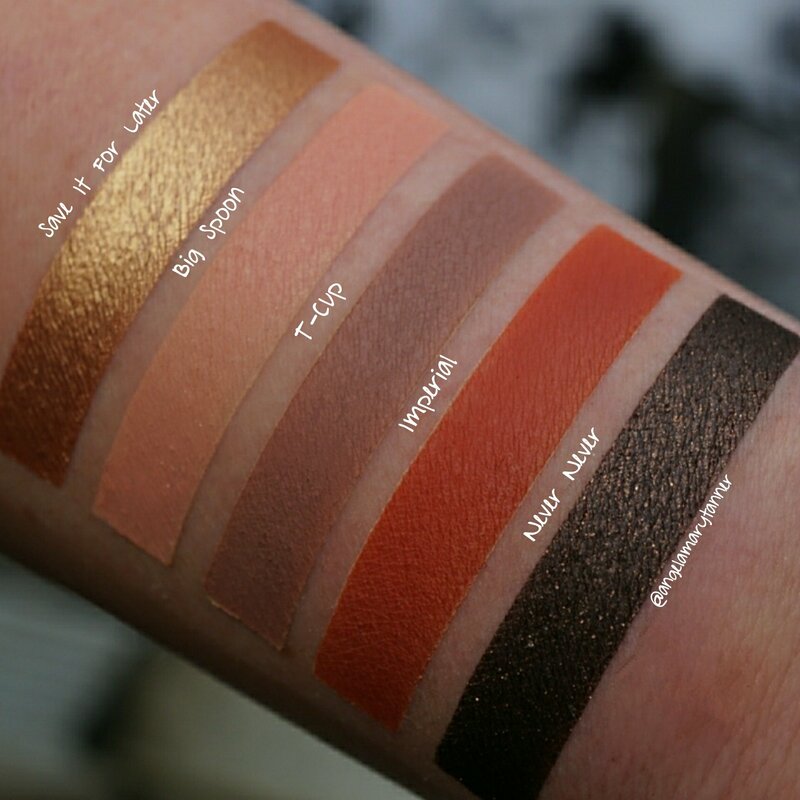 The mattes are soft and easy to blend with great pigmentation and the shimmers are creamy and long wearing. The only two shades that weren’t great are Go Wish and Never Never. 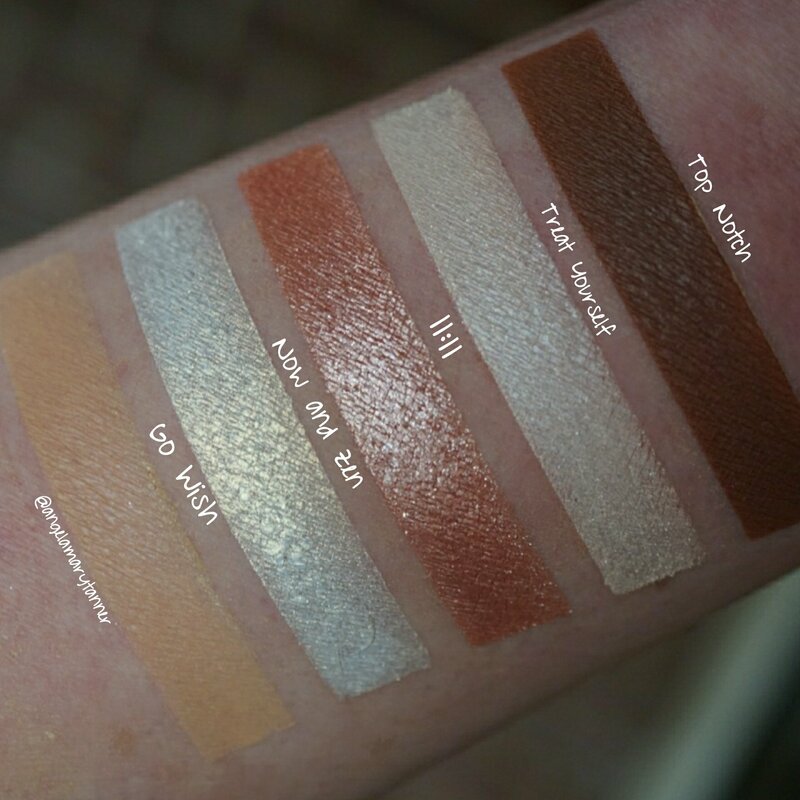 Go Wish isn’t bad, it’s just not that pigmented. But you can build the intensity. Never Never really needs to applied wet or over a sticky base, assuming that you don’t want it all over your face. I don’t know how I feel about them including colors from their permanent collection in palettes. 4 out of these 15 shades were repeats and I’m pretty sure that I already had all of them. Of course I’d rather not have repeats but on the other hand, how often do brands take a pre-existing color and make it a half a shade darker or lighter and then slap a new name on it? Pretty often I think. For example, I can think of a few brands that have a matte black in 5 different palettes and each one has a new name. Same with matte browns. Or any neutral really. So yeah I guess the repeats don’t bother me all that much, especially with a palette that’s so inexpensive. Overall I’m really enjoying this palette for winter. I love the combination of neutrals and rich berry tones. And as always I’m super impressed with the quality and price! I feel just like you, I found 4 colors a bit excessive because they could’ve added something more unique to the mix. SIFL & Top Notch I felt were great additions, but I could’ve survived without the other 2. 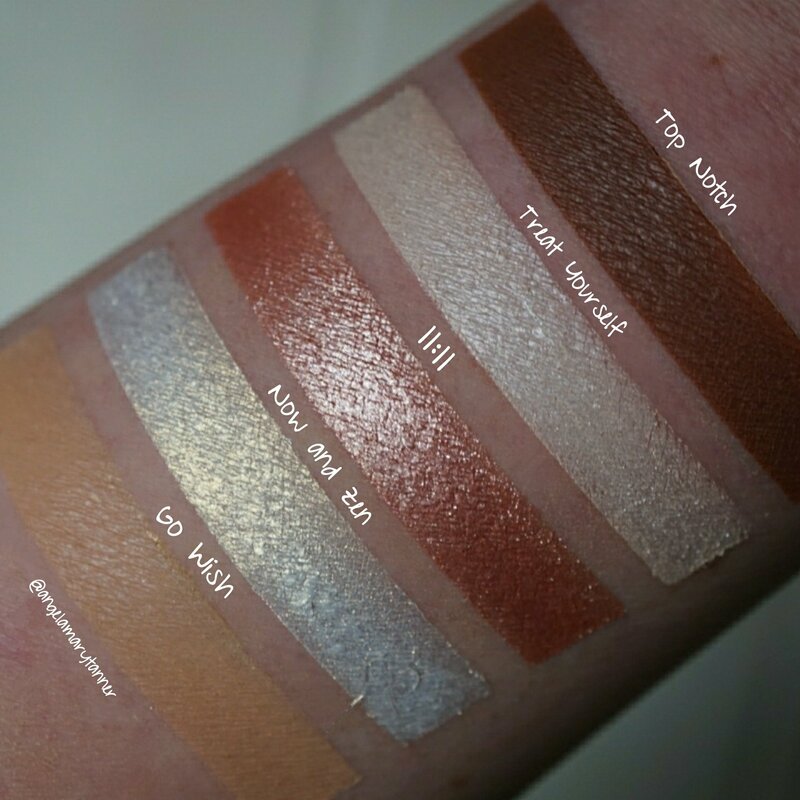 Tinsel Town is one of those shades that brands make a little warmer or more muted and slap a different name on it as you mentioned because it’s a mix of similar to Going Steady, Silk Street & Blank Canvas. Damn girl! Good memory! I had to look up those last three to see which color they were.